London School of Economics, LL.M. Larry Ritchie chairs Osler’s cross-disciplinary Risk Management and Crisis Response national practice and is a key contact for the Securities Regulatory Enforcement and Broker-Dealer Practice. Larry’s practice involves dispute avoidance and resolution across a range of capital markets, the financial sector and other regulated industries and activities. His experience encompasses all aspects of enforcement and other regulatory proceedings and related litigation, including class actions. He advises public corporations, their officers, in-house counsel and directors on avoiding, preparing for, managing and responding to extraordinary “crisis” situations, including regulatory actions and litigation. He also advises on the conduct and response to internal and regulatory investigations. He provides proactive corporate governance and other risk-management advisory services, in addition to representing clients in addressing relevant matters with regulators and in the courts. In addition, he advises clients on developments in capital markets regulation, governance and compliance, administrative law and practices, and associated matters. He returned to Osler in 2014 after a seven-year term as Vice-Chair of the Ontario Securities Commission, which included a secondment to the Canadian Securities Transition Office as its Executive Vice-President and Senior Policy Advisor. Prior to becoming OSC Vice-Chair in 2007, Larry was recognized as one of the leading securities litigators in Canada. At that time, his practice included the defence of class actions, capital markets enforcement and regulatory investigations and related proceedings. His practice also included pension and other financial sector matters. Larry appeared at all levels of courts in Canada, including the Supreme Court of Canada, and numerous administrative tribunals. 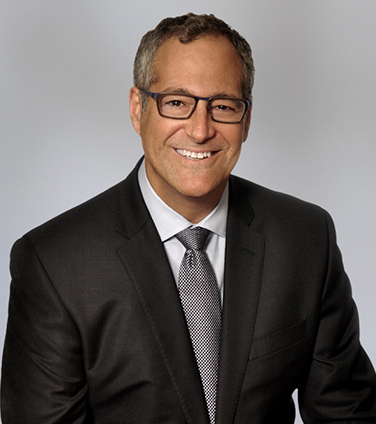 While at the firm, Larry was a member of the Advisory Committee to the Financial Services Tribunal of Ontario. At the OSC, Larry was a member of the Commission, its board of directors and the executive management and adjudicative committees. He chaired adjudicative panels that heard and decided enforcement and transaction related proceedings, regulatory policy matters and appeals of decisions of OSC staff and recognized self-regulatory organizations and acted as executive sponsor for the development of a number of important securities policies and rule-making initiatives. He represented the OSC at national and international bodies and organizations and, in particular, on the Joint Forum of Canada’s Financial Regulators, the North American Securities Administrators Association and at the International Organization of Securities Commissions. From 2009 to his return to the firm, Larry helped establish the Canadian Securities Transition Office, the federal statutory organization charged with leading the transition to a single national securities regulator. As one of its executives, he advised the federal Minister of Finance on, and assisted the Department of Finance with all aspects of that initiative including the proposed capital markets legislation and regulations and the development and operationalization of a national capital markets regulatory authority, including its governance and tribunal. In 2015, Larry was appointed by the Government of Ontario to serve on a 3 person expert panel to assess and make recommendations on the mandates, governance and effectiveness of Ontario's major financial regulators. In 2016, the Panel made recommendations including to establish a new regulatory agency and framework, which recommendations have been accepted and currently being acted upon by the Government of Ontario. In 2018, Larry was appointed to the Financial Services Regulatory Authority (FSRA) Board of Directors. Chambers Canada: Canada’s Leading Lawyers for Business, 2019, Litigation: Securities. Chambers Canada: Canada’s Leading Business Lawyers, 2018-2019: "Recognised Practitioner", White-Collar Crime & Government Investigations. The Lexpert/American Lawyer Guide to the Leading 500 Lawyers in Canada, 2017-2018: Most Frequently Recommended, Litigation - Securities. The Canadian Legal Lexpert Directory, 2016-2018: Repeatedly Recommended, Litigation - Directors' & Officers' Liability. The Canadian Legal Lexpert Directory, 2017-2018: Most Frequently Recommended, Litigation - Securities. The Lexpert Guide to the Leading US/Canada Cross-border Litigation Lawyers in Canada 2017: Litigation - Securities. The Canadian Legal Lexpert Directory, 2016: Consistently Recommended, Litigation - Securities. Benchmark Litigation Canada, 2017-2019: "Litigation Star", Securities; White Collar Crime. The Best Lawyers in Canada, 2017-2019: Corporate and Commercial Litigation. The Best Lawyers in Canada, 2006-2019: Securities Law. The National Law Journal: Trailblazers & Pioneers, 2014: Governance, Risk & Compliance. New Research Report: Are Canadian Directors Ready for a Corporate Crisis? Larry has authored published papers and case comments, and has spoken extensively on topics within his areas of expertise. He is an adjunct law professor at Osgoode Hall Law School, and has taught courses and seminars including, “Trial Advocacy”, “Avoiding and Resolving Securities and Corporate Disputes” and “Comparative American Securities Law”, and is a faculty member of the Rotman School of Business / Institute of Corporate Directors’ “Directors’ Education Program.